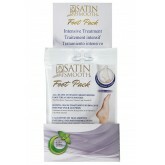 Soothe and soften cracked, split heels and reduce callus build-up with a nutrient rich moisturizing .. 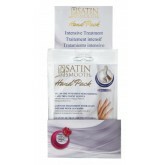 Helps sooth rough, dry chapped hands with nutrient rich moisturizing treatments that penetrate deep .. 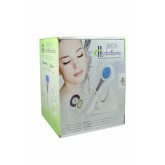 This kit includes: Hydrasonic Dermal Cleansing Unit Sensitive Skin Facial Brush Normal Skin Fac.. 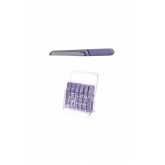 The counter display holds 18 double sided stainless steel pocket nail files. 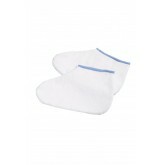 Coarse side 180 gr..
Washable, cotton lined terry cloth booties made of high quality, 100% terry cloth cotton. 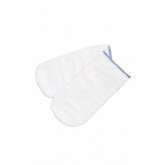 Self-adhes..
Washable, cotton lined terry cloth mitts made of high quality, 100% terry cloth cotton. Self-adhesiv.. 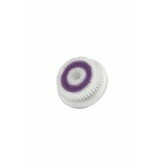 Kit includes: 2 Stainless steel handles, sterilizable and double-sided. 30 self-adhesive filing ..